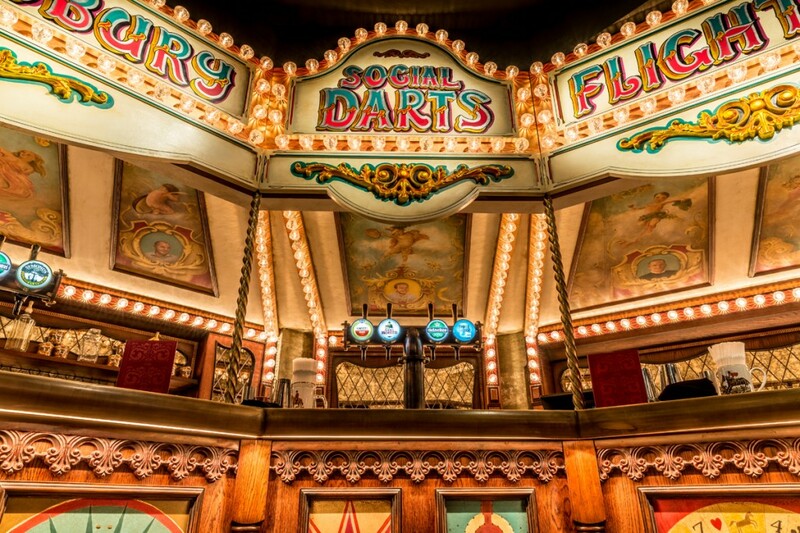 Famed for taking the traditional game of darts out of dark pubs and turning it into a fast and exciting multiplayer game, all housed in a stunning bar where gourmet food and drinks are served to you as you play, the creators of Social Darts are on course to take the phenomenon global. 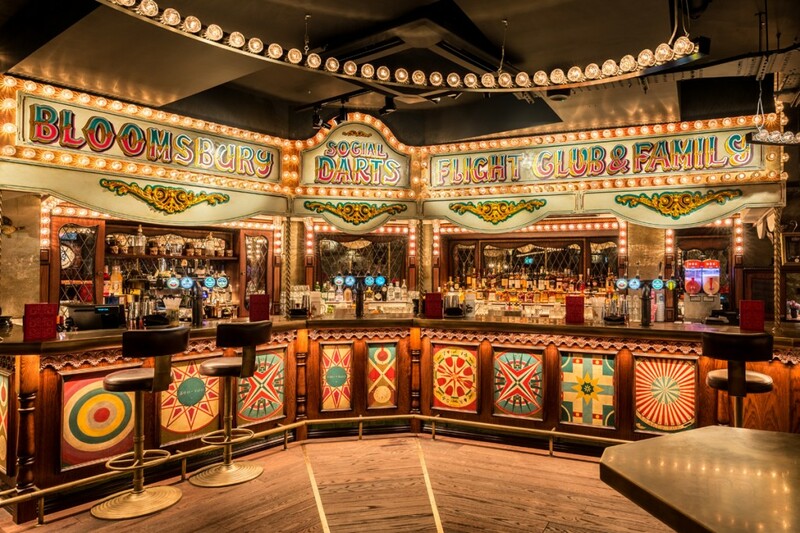 Flight Club Bloomsbury is set over two floors with 9 oches and a capacity of 250. 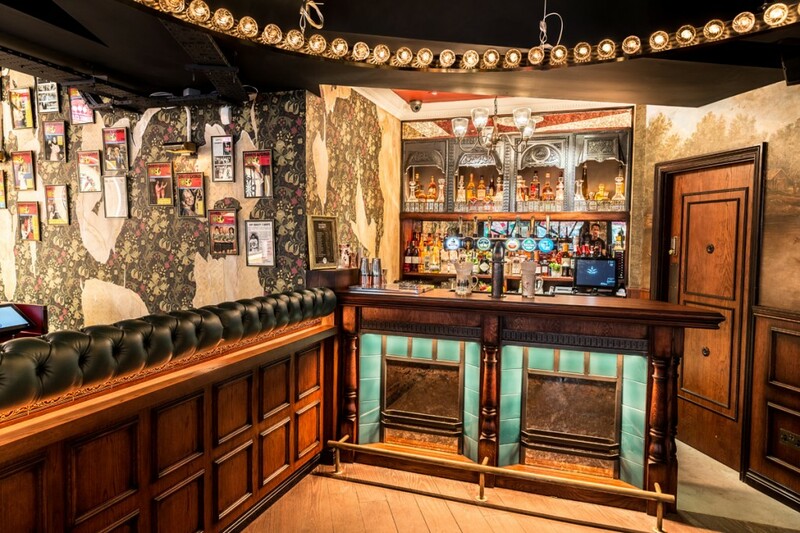 In addition, there’s also a private room for hire with 3 oches. 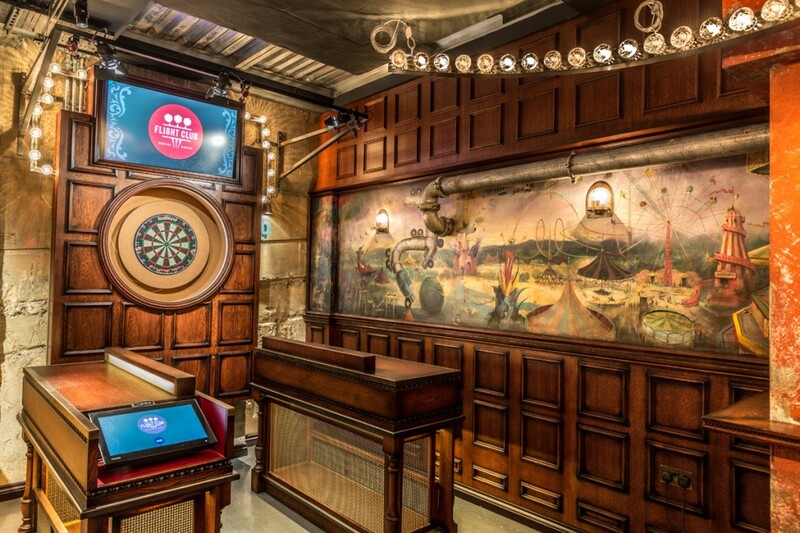 Taking darts into a super-modern setting, each oche is kitted out with cutting-edge technology created by rocket scientists. 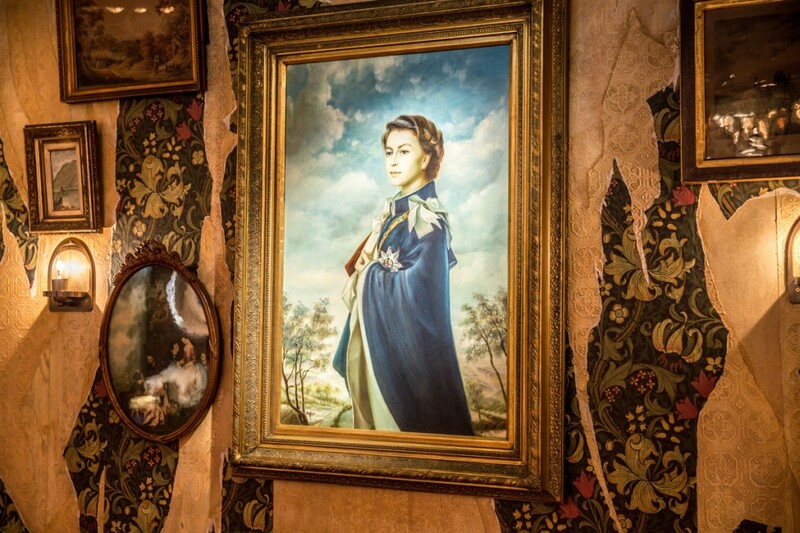 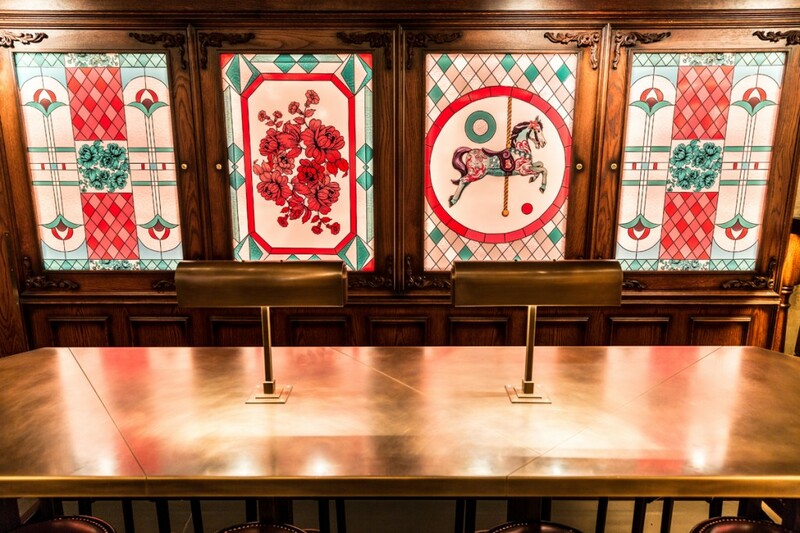 The décor of the new bar, located on 55 New Oxford Street, is created by Russell Sage Studio and builds on the Victoriana and circus themes found in Flight Club’s first venue and turns them up to eleven. 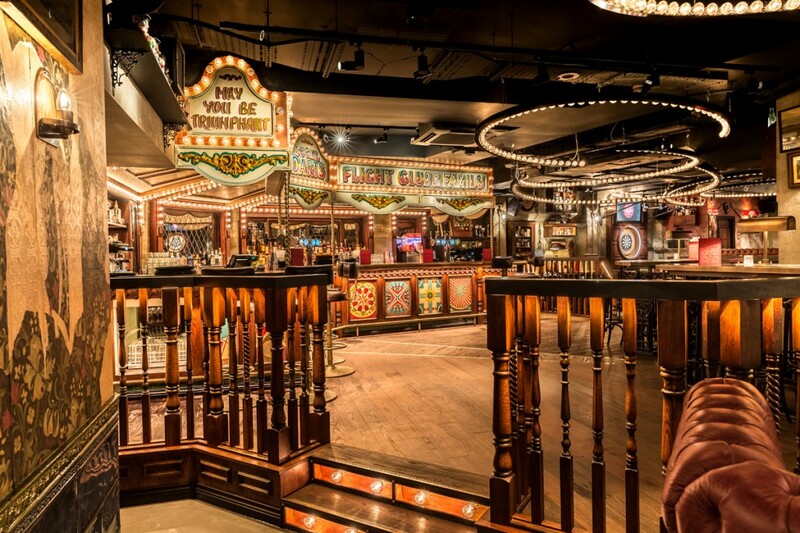 A large, ornate carousel themed bar takes centre stage, serving signature slushy cocktails, party shots, and craft beers. 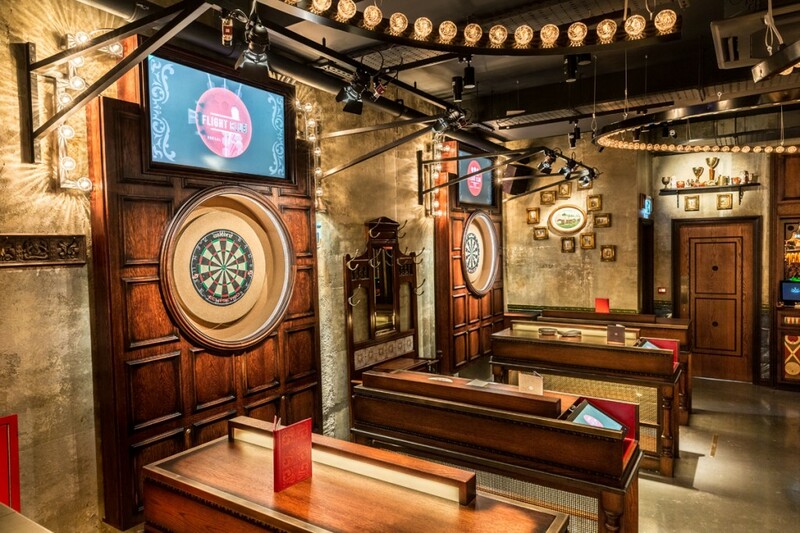 The lighting concept realised by Into combines eye-catching, kinetic, interactive fairground lighting with shadow free lighting to each dart board to be sure the cameras pick up the darts precise movement for data feedback to the scoring system. 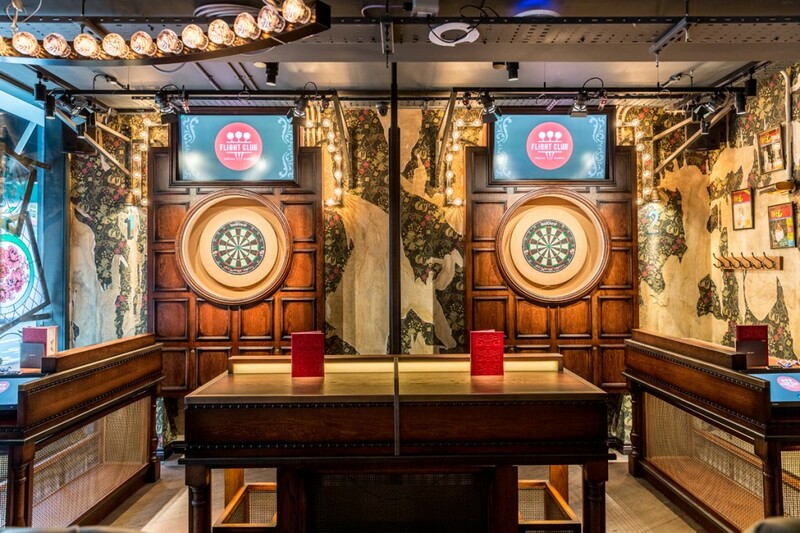 To create the shadow free lighting Into mounted the clients’ cameras and low glare spotlights fitted with Soraa LED engines, to a bespoke bracket to each dart board. 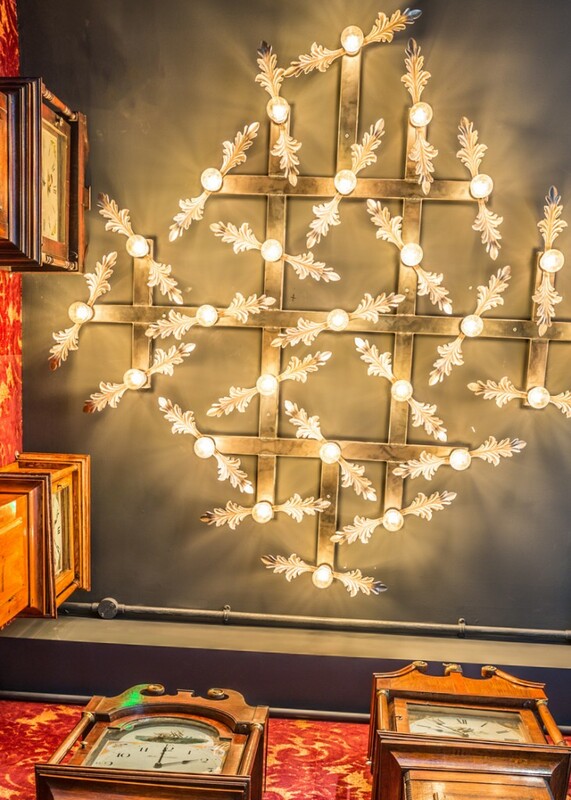 A concealed ring of LED Linear led tape around the board provides a uniform and shadow cancelling light treatment, with specialist LED drivers from Eldoled to eliminate camera flicker.